CARE® Telephone Reassurance Contact Form For Database Systems Corp. Database Systems Corp. (DSC) is a leading provider of call center technology including telephone reassurance programs. DSC welcomes the opportunity to answer any questions you may have regarding the products and services we have presented on this website. 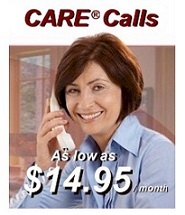 Do you wish to purchase a CARE phone system or use our CARE services?